Since it was founded in 2003, Deveryware has attached great importance to Research & Development, investing 25% of its sales revenue in it in 2016, 10% of which in cooperative R&D. Discover some R & D projects that we have developed internally – the principle of fuzzy logic applied to geolocation and a geolocation data analysis platform. Deeply involved in the major themes of research and innovation of public and civil security (digital cities and regions, major events and sensitive sites), Deveryware ensures that its technological services are continually improved through the integration of cyber security, IoT, Big Data, artificial intelligence, etc. 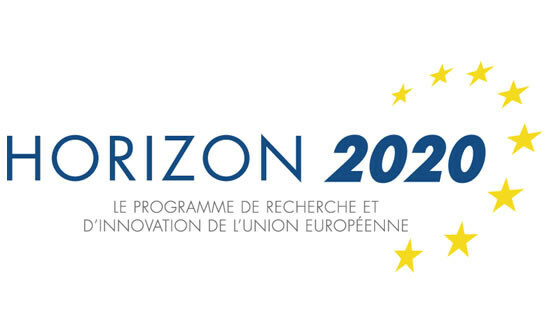 This constant desire to be at the leading edge of technology, in particular, has enabled Deveryware to be selected on several occasions as a geolocation specialist in R&D tenders by the European Commission for the European FP7 and Horizon 2020 programmes, as well as the National Research Agency (ANR) and Single Interministerial Fund (FUI) national funding bodies. After iSAR+, dedicated to alerting population groups in real time, Deveryware is continuing its involvement developing new generation emergency calls with the European Soteria and NEXES research and innovation projects. The latter aims to define, test and validate the promising integration of communication technologies based on new information technologies (Smartphones, apps, the Internet, etc.) to provide greater efficiency for the emergency services and to allow new multimedia services to be adopted. At the same time, Deveryware is contributing to normalising and standardising the PEMEA Programme (Pan European Mobile Emergency Application), to enable interconnectivity of 112 apps with the European centres for processing emergency calls. It will then be possible to precisely locate a call from a person in an emergency situation from wherever in Europe and share vital data with the emergency services, in compliance with the General Data Protection Regulation (GDPR). Over the course of the next three years, and to continue its efforts as regards innovation, Deveryware will participate in two Industrial Projects for the Future” (PIAVE), one devoted to improving the resiliency of dense digital cities (PIAVE Safe City) and the other to securing sensitive sites (PIAVE Cirpess); as well as to a Franco-German project of the ANR dedicated to the security of dense urban sites, and a final one devoted to securing connected objects (FUI). Following Project Nexes, Deveryware created an Innovation Lab with the aim of coming up with joint proposals for new services in real-life conditions, based on demonstration products created as a result of R&D projects. To learn more about our R&D projects, please contact me! This project was created by Deveryware’s R&D team as part of its constant concern to improve its products and services. Beyond the alert and position tracking features already available in the Deveryloc range, the idea of this project is to provide the users of our solutions with a data analysis tool that will cross-reference geolocation information collected through a number of sources. The objective being always to improve the efficiency of resolving their investigations. We can therefore build a “who, when, where and what” (also called “CGR events” standing for “Chrono Geo Referenced”). By setting different sources against each other, users can identify inconsistencies and also build relational graphs. This project was previewed at Milipol 2017, from 21 to 24 November at our 6L203 booth! Fuzzy logic is based on the theory of fuzzy sets, formalised by Lotfi Zadeh in 1965. It is an extension of classic set logic. Whereas classic set logic, based on a binary principle (0 or 1), characterises a membership state (where “0” belongs to the set and “1” does not), fuzzy set logic allows greater flexibility in defining a state. The purpose of using it at Deveryware, a geolocation expert, is to move as close as possible to human reasoning, moving from a quantitative context to a qualitative context. Thus, it is possible to give a nuance to the status of a mobile phone (e.g. “Is it in a given area?”) by taking into account a number of inaccuracies and uncertainties inherent in the geolocation techniques used (GPS, Cell-id, Wifi, Beacons, etc.). Applied to the case of alerts where a person exits a corridor, it can be used to “blur” (or nuance) the edges of the corridor in order to deal with specific cases of long bends that may be included in some routes. To learn more about our in-house R&D projects, please contact me!